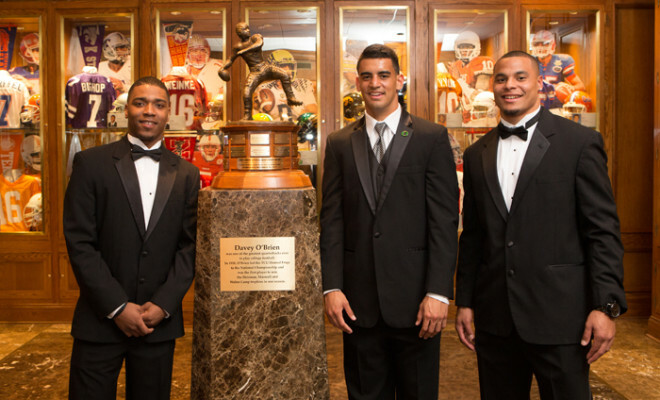 2014 finalists Trevone Boykin (TCU) and Dak Prescott (Mississippi State) with winner Marcus Mariota (Oregon). 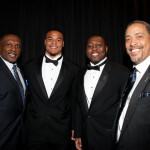 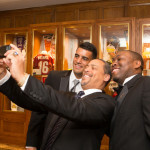 Don McPherson takes a selfie with fellow winners Brad Banks and Marcus Mariota. 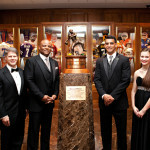 The guests of honor: Clark Hunt, Warren Moon, Marcus Mariota and Christine Vonder Haar. 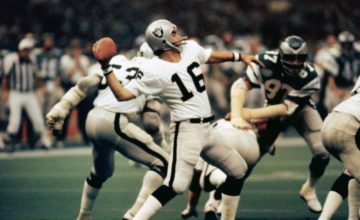 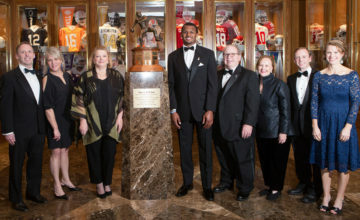 Winners Jim McMahon (’81), Ty Detmer (’90, ’91), Vince Young (’05), Marcus Mariota (’14), Don McPherson (’87) and Brad Banks (’02). 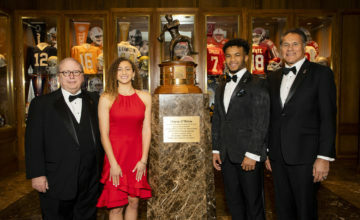 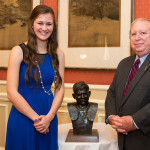 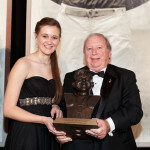 High School Scholarship winner Christine Vonder Haar with David O’Brien, Jr.
Paul Greenwell presents the Davey O’Brien National Quarterback Award trophy to Marcus Mariota. 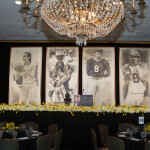 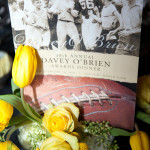 The backdrop behind the head table includes a pair of great No. 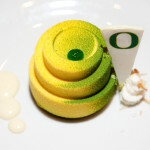 8s. 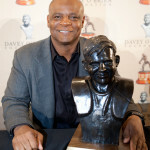 NFL Hall of Famer Warren Moon was named the Legends Award winner. 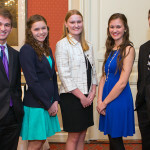 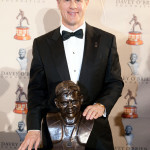 Clark Hunt accepts the Charles Ringler Founder’s Award on behalf of the Hunt family. 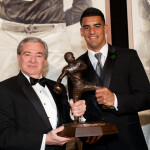 Marcus Mariota meets with the media at the award’s dinner press conference.